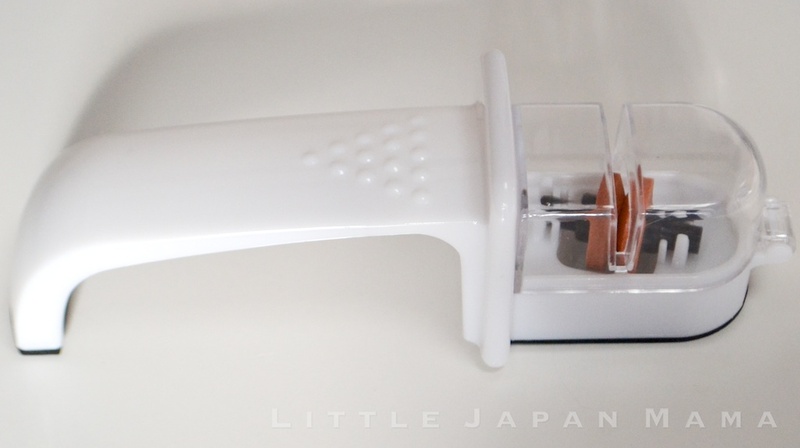 This is seriously the best knife sharpener I’ve ever owned. I’m speechless. (oh yeah, AND it was the cheapest.) The design is so smart that not only does it make my knives the sharpest they’ve ever been, it does it in just a few easy strokes. 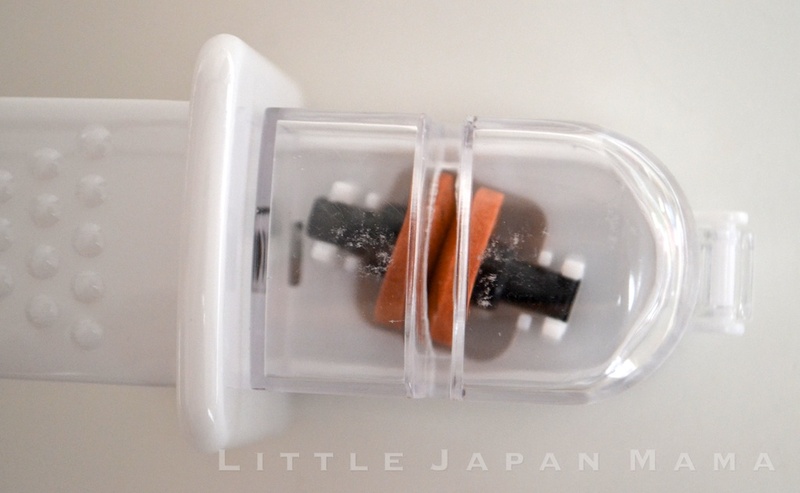 It has rounded stone sharpeners set at an angle through which you pull your knife. That’s pretty much it.